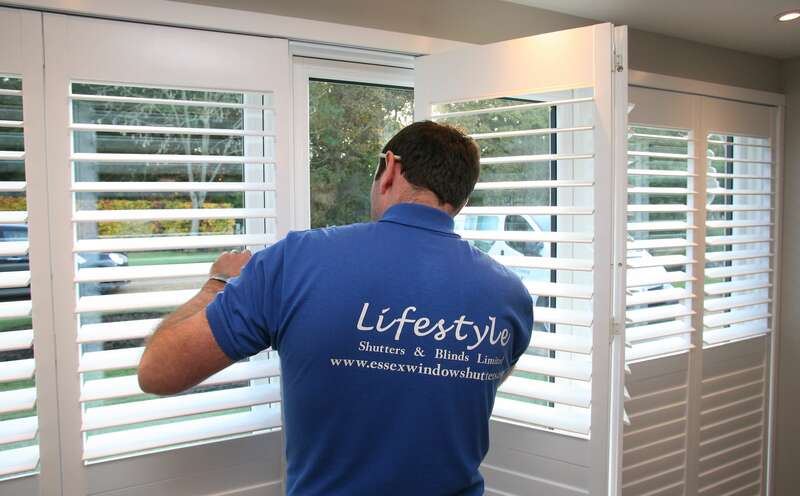 Lifestyle Shutters and Blinds are a company based in South Woodham Ferrers covering Essex, London and Kent that specialise in beautiful shutters for windows. Something as simple as a well picked white window shutter can transform and enhance any living space. 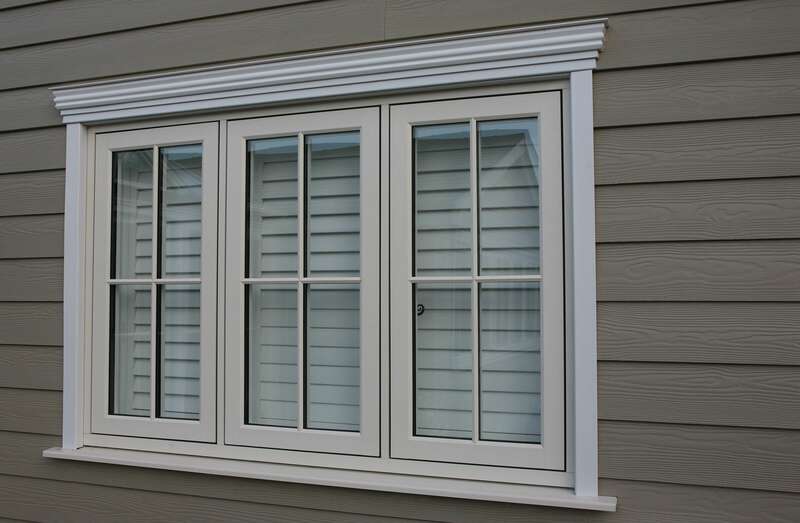 We offer a wide range of quality white wooden shutters for windows that can fit any budget. We understand that the task of choosing the right white shutters design can be overwhelming, all of our staff are fully trained and experienced ensuring that we can offer the best possible advice with what would compliment your window or door shape and internal decor. We can offer a number of different white shutters blinds finishes and colours all of which provide style and quality. With virtually any colour available, we have a complete range of white wooden window shutters available, including; The entry level Seattle shutter and the premium Carolina range. We also have a number of waterproof white plantation shutters. Our white wooden shutter blinds can be custom designed to give flexible control of light, ventilation and privacy and when fitted correctly can improve energy efficiency. When combined with new energy efficient windows, our superior range of white wood shutters are perfect for retaining heat during the colder months and helping to keep rooms cool during the summer. Full Height White Shutters - Shutters that are built to cover the full height of your window, from top to bottom. 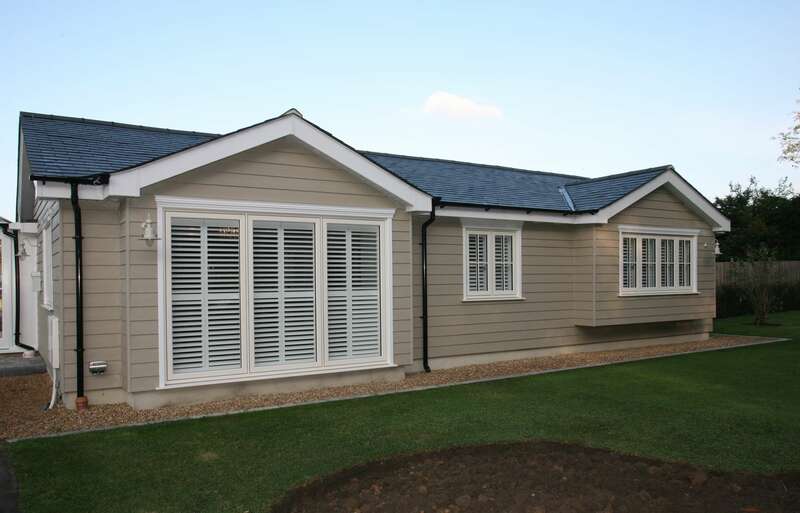 Full height shutters are the most simple style design but the most versatile and elegant. Full Height White Shutters with Mid Rail - This type of shutter is designed to cover very tall windows where the shutter will need additional strength to stop warping. The panels are separated into two separate sections with separate tilt rods allowing top and bottom sections to be open and closed independently. Cafe Style White Shutters - This style only covers the bottom half of the window allowing privacy up to the mid point of the window and allowing maximum light to come through the top. These window shutters are very popular with people living in town houses with 3 sided bay windows or busy areas. Tier on Tier White Shutter Blinds - This is the most versatile design of white window shutters and has two sets of shutters hung one about the other. The top shutters can be opened, closed and folded back totally independently from the bottom shutters. This allows the total privacy when the shutters are closed of the cafe option with the top are folded back. White plantation shutters are now one of the most desirable products for UK homes. 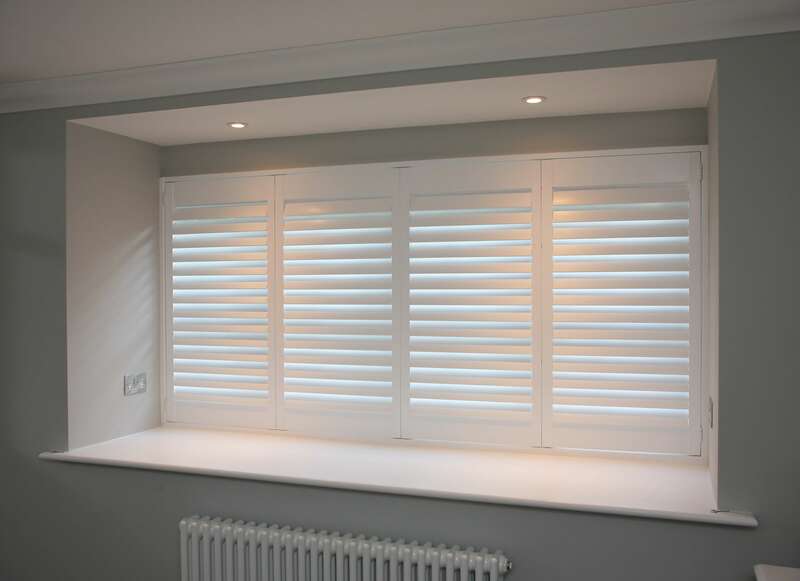 No matter what style your house is Lifestyle Shutters will transform any room and add a feature to your windows. You can also operate your white shutters like a wood venetian blind, with our consultant advising which louver size will benefit your lighting and privacy needs allowing you to open the louvers to control the light and breeze which enter your room. Lifestyle's unique collection of quality white shutter blinds is backed up with a comprehensive service, expert installations by fully qualified carpenters and fully guaranteed for 3 years for your peace of mind. At Lifestyle shutters and blinds, we take pride in our white shutter blinds service. Although white shutter blinds can sound quite limited, we are able to create high class and premium bespoke white shutter blinds that add originality and personality to your home. We understand the difficulty that having white shutter blinds have, which is why we’ve put many years of research and development into our white shutters and blinds service. Our white wooden shutters come in a variety of different styles and designs that allow us to transform your home for you. White wooden shutters add a large amount of style and personality, all while being extremely easy to maintain. When you use our white wooden shutters service, you aren’t just getting white window shutters; you’re getting an expertly designed and premium installation service that will make your home the envy of all of your family and friends. What are the benefits of white window shutters? There are many benefits that come with white window shutters. Some are for aesthetic reasons, and some are more so for practical purposes. From a design standpoint, white window shutters can go well with every design theme you decide to opt for. Whether you’re after a natural theme, a soft subtle style or a modern theme, white window shutters work well with almost every style. This means you no longer have to worry about whether all of your furniture will match your blinds or curtains. One of the best practical reasons to get white window shutters is how easy to maintain they are. If you wipe them with a good surface cleaner every week, your white window shutters will stay looking brand new for a very long time. If you require any of our services, or would like to request a FREE survey please get in touch with us on ☎ 01245 917588 | ☎ 07971 574 958, fill in our contact form or simply email your requirements to adam@lifestyleshuttersandblinds.co.uk and will will get right back to you.